Amazing Spider-Man is still in the midst of the Clone Saga, and I was still loving it. Spider-Man : Maximum Clonage Alpha & Omega are covered,Amazing Scarlet Spider 1 & 2, Amazing Spider-Man Annual 1996 and Ben Reilly becomes Spider-Man. Which felt longer but only lasted from 407 through 418. Amazing Spider-Man Annual 1997 is also covered, as is the Minus One issue. Spider-Man ends with the Identity Crisis storyline. Iron Man gets to be written by the Legend That Lives, Kurt Busiek! Iron Man / Captain America Annual 1998 is covered and Annual 1999. Also the Wizard 1/2 issue. Joe Quesada’s excellent, Mask in the Iron Man, is reviewed. Probably still my favorite Iron Man story, and could easily be adapted to a film. Annual 2000 is the last annual reviewed in this issue. Uncanny X-Men have the Apocalypse The Twelve and Ages of Apocalypse storylines. Annual 1999. 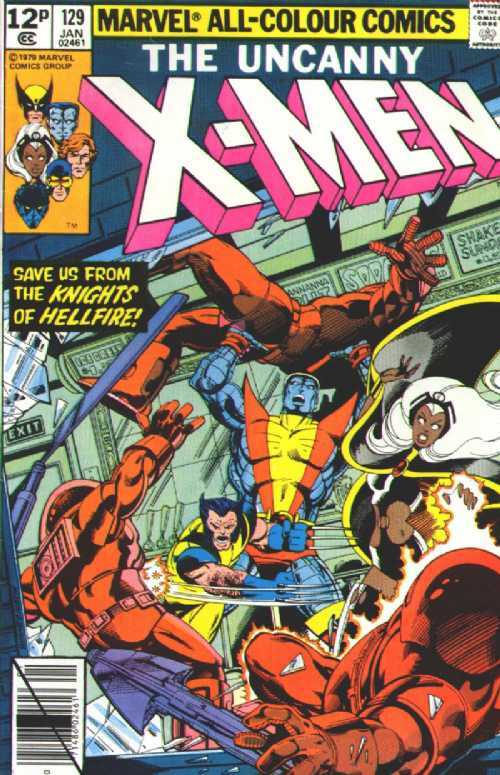 Kitty’s final issue is 380, then Revelations kicked in, which was Claremont’s big return to the X-Men. Kitty was moved over to X-Men 100 and then, hinted at in 109 and seen in 110. The First X-Men film came out but the books don’t try to tie in with the film. Dream’s End kicks off in 388, which will cost us Moira MacTagert and Senator Kelly. Uncanny X-Men 2000. Then, one of my favorite issues of Uncanny, of all time – Uncanny X-Men 390 – The Death of Colossus, it was so super sweet! 391 is also great, with Scott and his father going camping together. Eve of Destruction follows that and next, Grant Morrison takes over (New) X-Men and Joe Casey gets Uncanny. Chuck Austen takes the title, starting with 410. There are fourteen issues of this series but I think I got the four that I wanted. This is my era of Spider-Man! My first issue of Amazing was 371. Iron Man Annual 15 and Age of Innocence : The Rebirth of Iron Man, are covered. There is a nice Crossing / Tmeslide Chronology section. 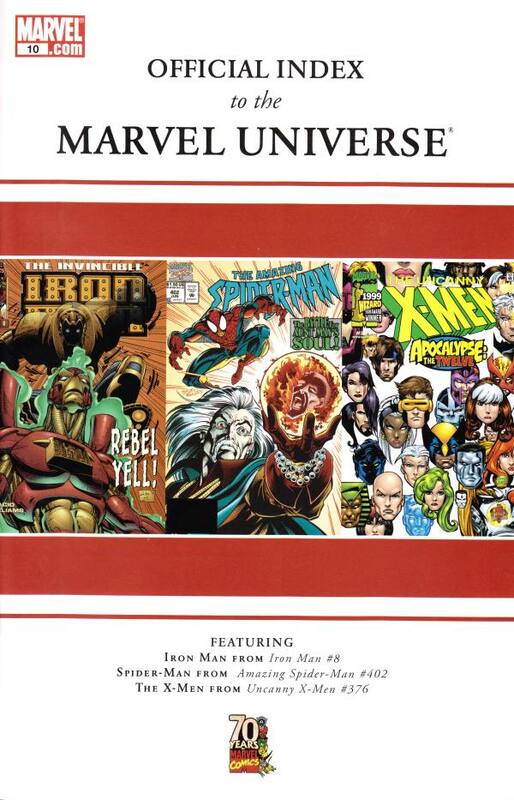 Uncanny X-Men has Annual 1997, the Minus 1 issue and Uncanny X-Men & Fantastic Four Annual 1998 are covered. Kitty Pryde appears in issues 360 to the end of the year, 375 (and a bit beyond). Excalibur 125 (the final issue) came out and now she, Nightcrawler and Colossus can be folded back into the main team. 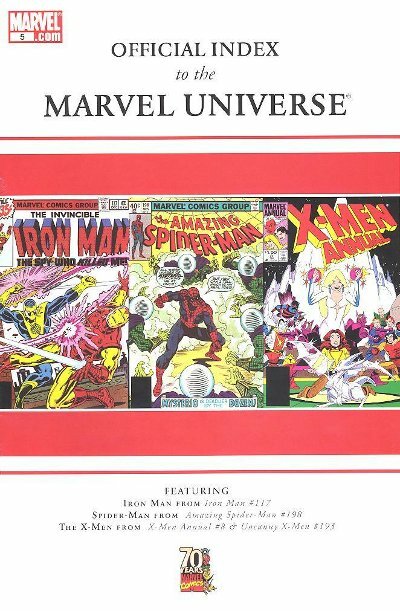 This issue covers Spider-Man, Iron Man and X-Men. Uncanny X-Men 227 will be the last Uncanny appearance by Kitty, Lockheed and Kurt for quite some time. Kitty doesn’t rejoin the team, per Index issues, until issue nine of this Index. Amazing Spider-Man issues 103 (December 1971) through 146 (July 1975) with various Giant Size issues and Annuals thrown in. 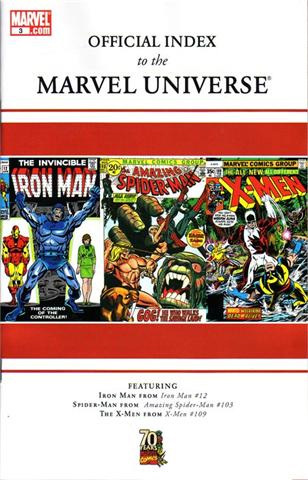 Each issue contains – Issue Number, Release month and year, Title, Page Length, Credits, Feature Character, Supporting Characters, Villains, Other Characters, Locations / Items, Synopsis and Note. The characters have Last Seen and Next Seen in their descriptions, which is pretty handy. Other Characters : Carmen & Theresa “Terri” Pryde (Kitty’s parents, 1st, but Carmen chr last in Ex #14, ’05 fb; both next in X #131, ’80), unidentified Hellfire Club waitress. Synopsis : The X-Men fly back to the States, leaving Banshee behind on Muir Island. Also crossing the Atlantic in a corporate jet, Jason Wyngarde projects another 18th century timeslip illusion into Phoenix’s mind, of her sailing with him as her husband to the Americas. She is awakened from the illusion by Scott, who tells her that he loves her. Arriving at the Mansion, the X-Men find Prof. X has returned from space, but he and Scott soon disagree over team training. Cerebro detects two new mutants, an Xavier splits the team to contact them, unaware they are being observed by Wyngarde and his allies, the Hellfire Club. The Club’s White Queen, Emma Frost, approaches the parents of the Chicago mutant, teenager Kitty Pryde, to convince them to enlist the girl in he Massachusetts Academy, shortly before Xavier arrives with Peter, Ororo and Wolverine. The latter three take Kitty to a Malt Shoppe while Xavier talks to Kitty’s parents, but they are attacked and captured by Frost and her agents; Kitty escapes thanks to her newly discovered power to phase through solid matter. As the White Queen leaves with her prisoners, Kitty sneaks on board her ship. Note : Kitty Pryde is stated to be 13 1/2 this issue. Sebastian Shaw is revealed to be Warhawk’s “master” from X #110, ’78 this issue & his 1st name is revealed next issue. Pierce & Leland’s names are revealed in X #132, ’80 & their titles as wella s Shaw’s are revealed in OHMU #5, ’83. 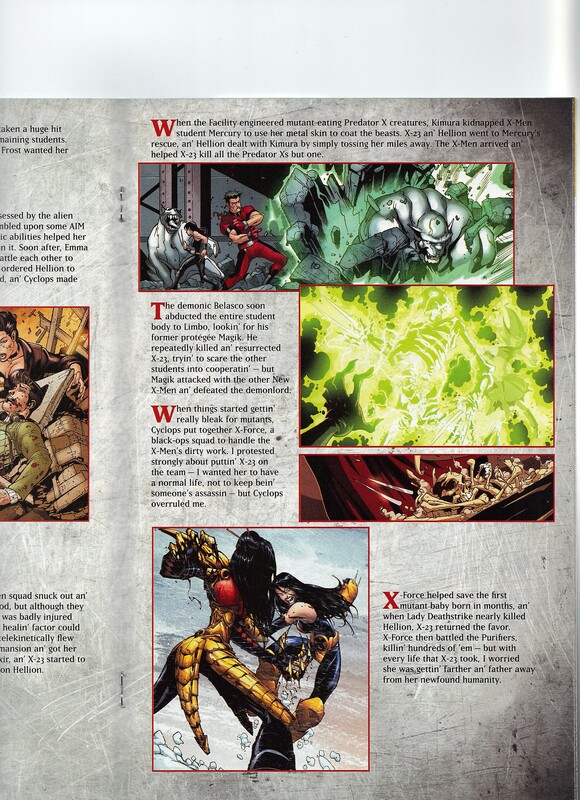 Xavier’s memories in Ex #14, ’05 reveal Carmen Pryde served in the army alongside both Wolverine and Xavier; Wolverine’s lack of recognition for Carmen is due to amnesia, while Carmen’s failure to recognize either man is presumably due to Xavier’s interfering with Carmen’s memories back during their service together. Xavier presumably recognizes Carmen here, but simply pretends not to. I had to look it up, Super Soldiers was an eight issue limited series in 1993. It was a Marvel UK title. Retrospective of the Wolverine satellite of titles from M-Day to Second Coming, from Wolverine’s perspective. 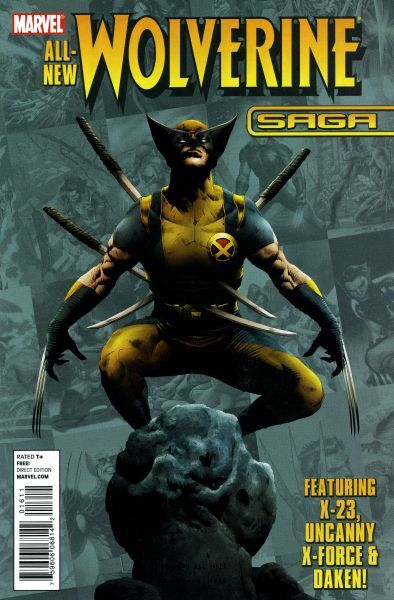 Those titles are – Wolverine, Wolverine : Origins, X-Force, X23 and his son, Daken the Dark Wolverine. 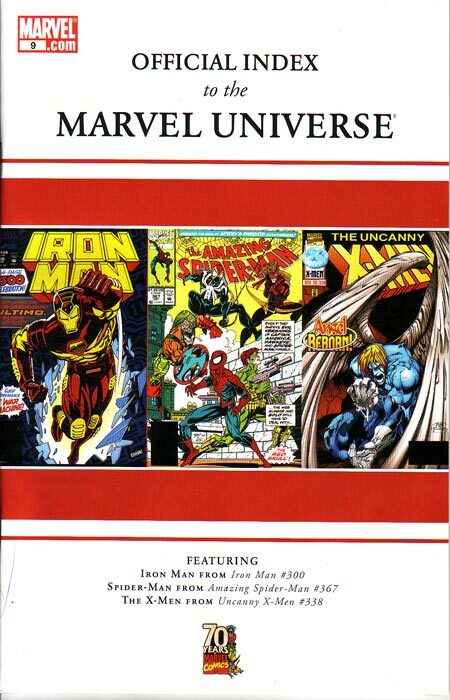 The events that span that era are – House of M, Civil War, World War Hulk, Secret Invasion, Dark Reign, Necrosha and Second Coming. The one we care about the most this the X23 section, as it mentions Laura’s involvement in Belasco’s attempt to bring Magik back in New X-Men : Quest for Magik. So that makes this a keeper. I must state though, that not really ever been a follower of X23 nor Daken, it was nice to be able to read what their deals were as we start with their origins and follow their tales up to the then present day. Also, it gave me a chance to find out what that whole Romulus nonsense was all about in the Wolverine titles. Happy Memorial Day! Thank you to all of those who served in the military and sacrificed their ultimate gift.